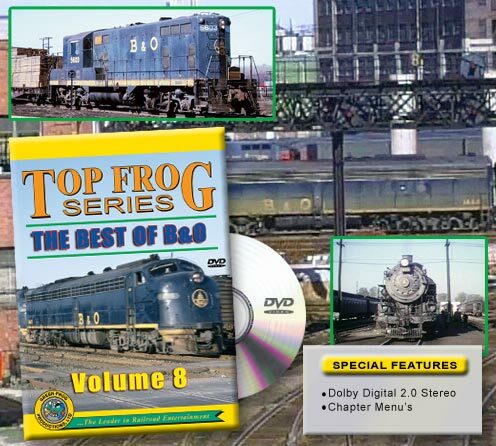 Green Frog has assembled B&O film from it’s huge catalog. There are some familiar photographers and seasoned fans will be able to tell some of the identities by some trademarks. Emery Gulash film pops out with that beautiful 16 mm film. Jerry Carson prefers, but not always, low angles and he sometimes shoots tight to the track. Quality ranges from good to excellent. All the shots are narrated and depending what program they were on originally , you have the varied voices. The scenes jump around, keep in mind, this is a best of… type program. The convenience of having all this material in a single DVD, makes up for some inherent choppiness. We start with a snip of black and white , proceeding to all color film. 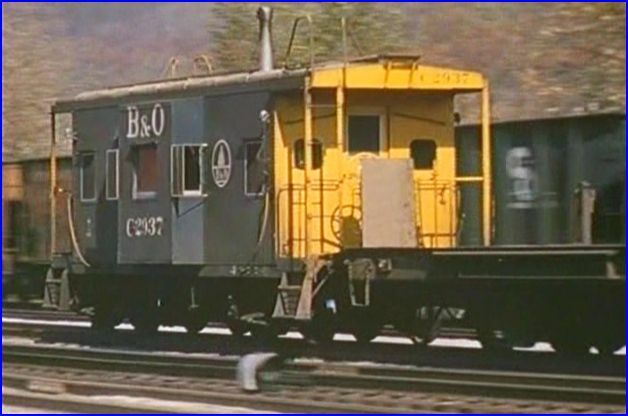 Fantastic B &O steam action, in color. 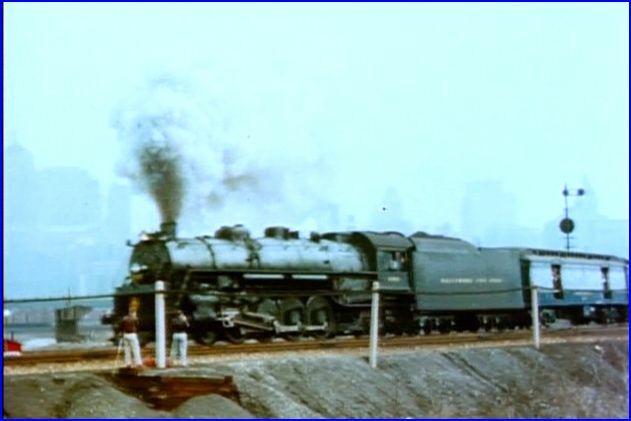 At Chicago, steam types: 4-8-2, 2-8-2, 0-8-0. Steam fan trips leaving the city. Fast freight service with T-1, 4-8-2 Mountain type on freights. 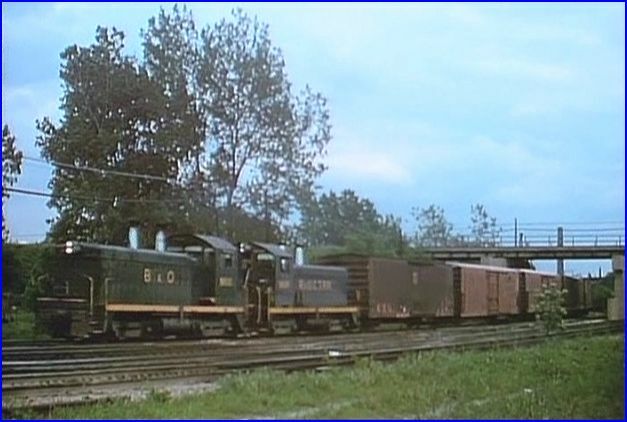 Two Doubleheaded T-1 freight trains! Nice segment. 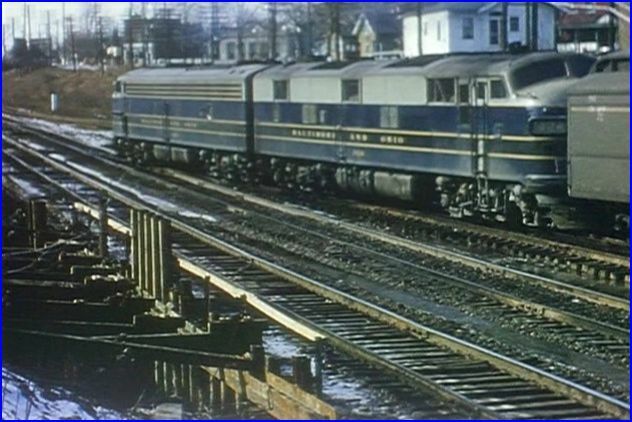 Passenger trains are heavily shown. 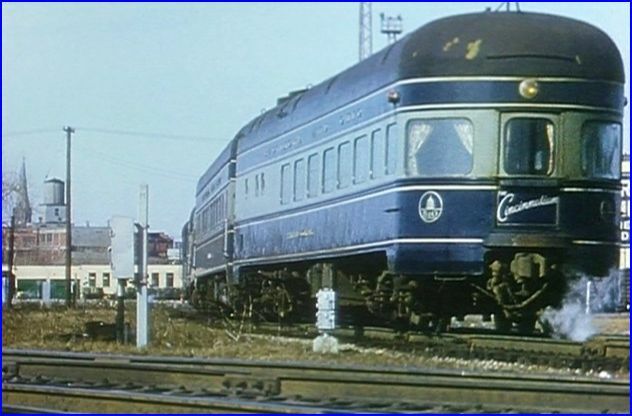 The name trains such as: The Capitol Limited, Cincinattian, Metropolitan. 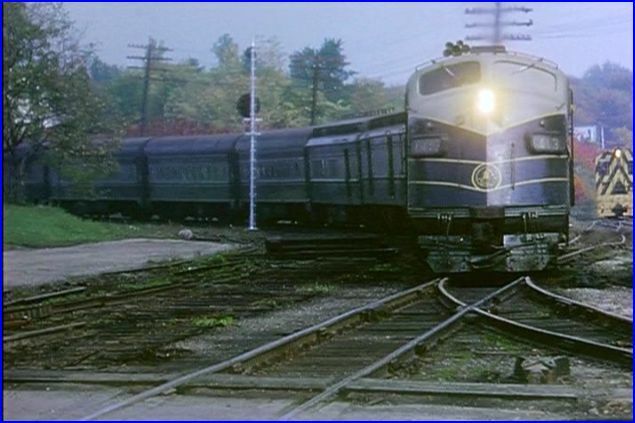 Amtrak era George Washington behind B&O E8 units. Shenandoah, Cherry Blossom Special, are some others. Heavyweight cars are plentiful. 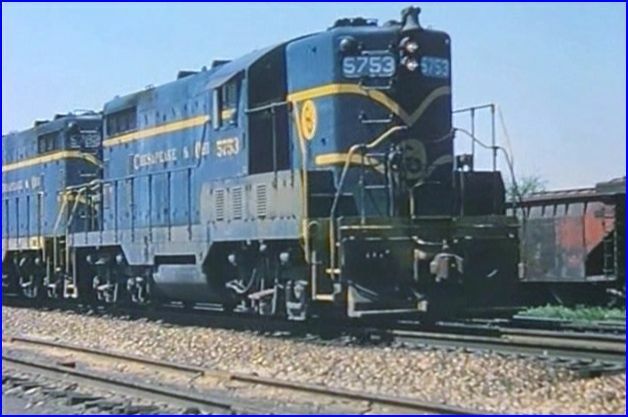 E8 locomotives wear a variety of paint: original, sunburst, solid blue, blue and gray. I like the GP9 torpedo geep in the sunburst scheme, with an F7A in original paint! All of these constant passenger trains do get repetitive. Way too many Cincinattian. Otherwise, the assorted equipment, paint, weather, and locations of the other trains, keep it liveable…more or less. The show is in chronological order, for the most part. You’ll recognize some of the shots from previous Green Frog programs. 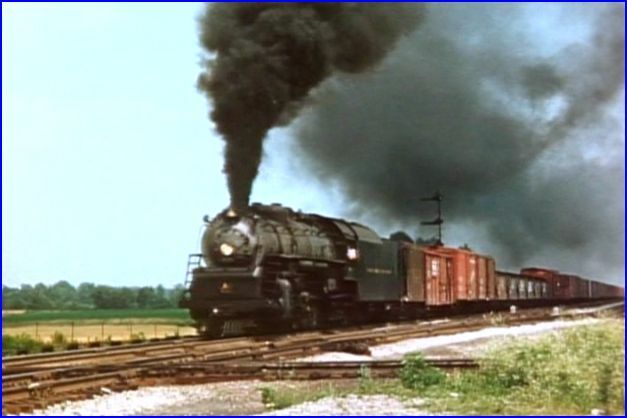 Much of the steam and those 1960’s freight, I haven’t seen before. 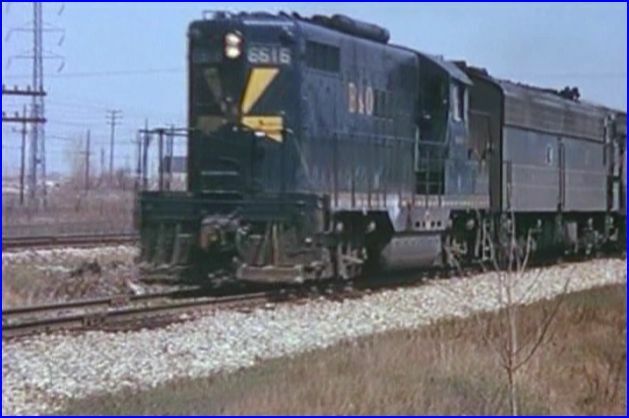 Another shot was from Michigan Fast Freight ( a great show), St. Louis Sojourn, and footage from Penn Central shows, also appears. You’ll probably see some shots that are new to you. 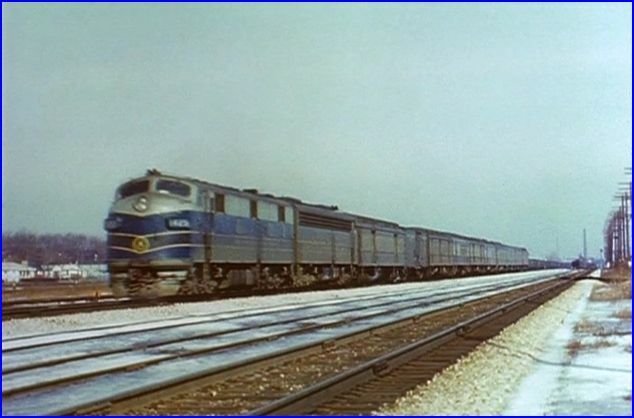 There is a great shot of four Blue Sunburst GP30’s leading a piggyback Trailer-Jet train. 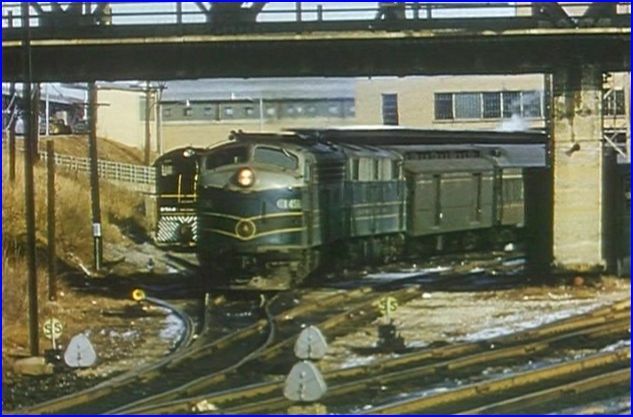 Chessie System 4144 arrives with a freight at Riverdale along with 2 B&O painted units. That GP40 is a real eye opener after 20 odd years of blues. It was just the same effect, when the scheme first appeared, and became an instant classic. Good moment.. The Frog! 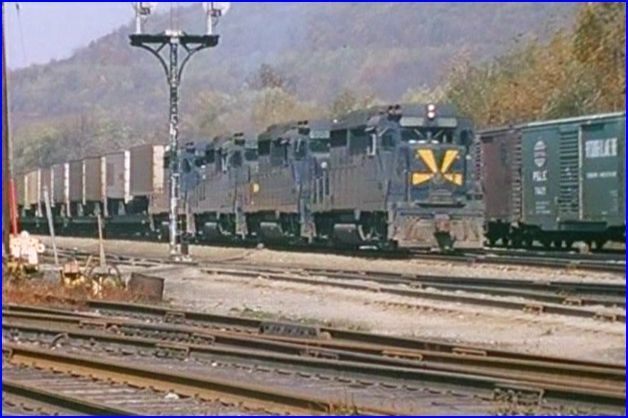 This is a fine show for B&O, Chessie and CSX fans. 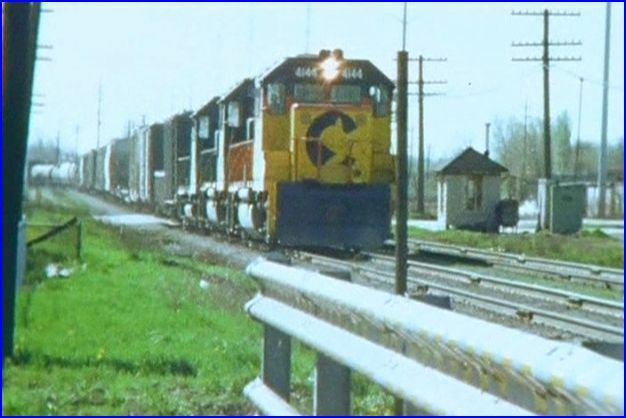 Also a good one for young and/or newer railfans as it does portray the evolution of this railroad. A very good train video. This entry was posted in ATVR Reviews, Green Frog Prod. 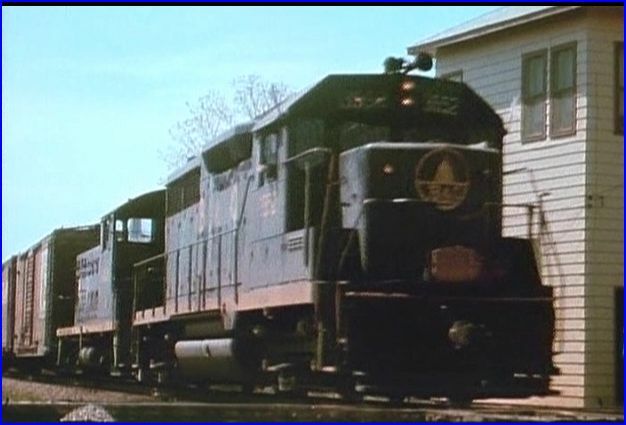 and tagged American Train Video Reviews, Amtrak, B&O, C&O, Chicago railroad, Emery Gulash, Railroad, Train DVD, transportation by William J. Hudson. Bookmark the permalink.